Eradicate has serviced a full array of clients for over 30 years. Using our highly effective Integrated Pest Management program, we provide timely, thorough and cost-effective pest and sanitation management services to commercial kitchens, educational facilities, government agencies, hospitals, convalescent homes, restaurants, shopping malls, supermarkets and many other commercial, industrial and residential facilities. Eradicate is led by a team of seasoned industry professionals. Our team of service representatives and customer service managers are trained in the most current methods of pest management. Our team partners with each of our customers to develop a unique and targeted plan of action to address your pest management needs. 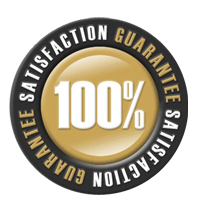 Your success is our goal and your total satisfaction is our guarantee.